Surprisingly, although the epicenter of the 1989 M7.1 Loma Prieta Earthquake was in Santa Cruz County, almost all the bridge damage was 60 miles to the north in San Francisco and Alameda Counties. There were only two state bridges that were damaged in Santa Cruz County besides the Struve Slough Bridge that we studied on March 8, 2014. These were the Corallitos Creek Bridge and today's bridge, the Grant Street Undercrossing. However, the damage to these bridges was much less serious than at Struve Slough and it was quickly repaired. 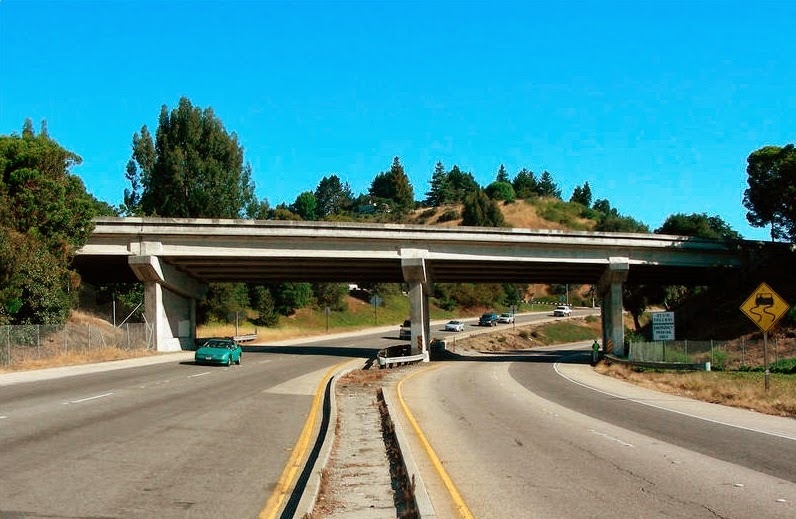 There were also several county bridges that were damaged during the 1989 Earthquake. 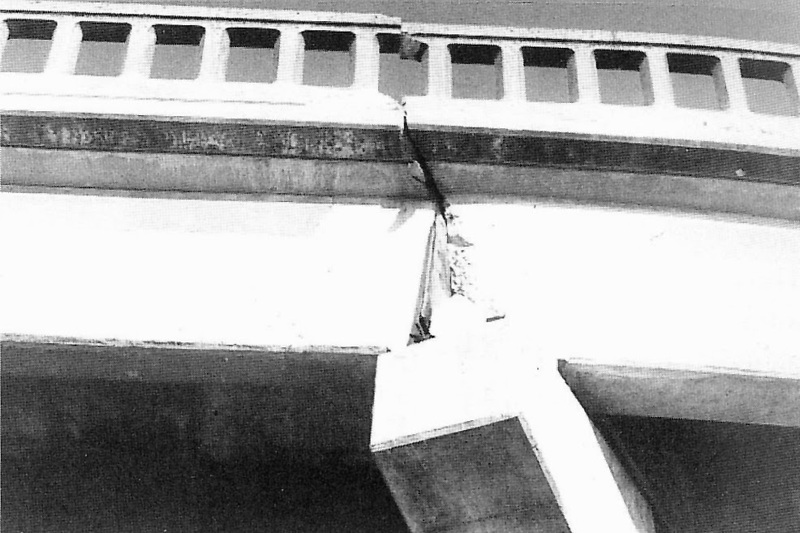 More information on bridge damage during the Loma Prieta Earthquake can be found in the USGS Professional Paper 1552-B Highway Systems. 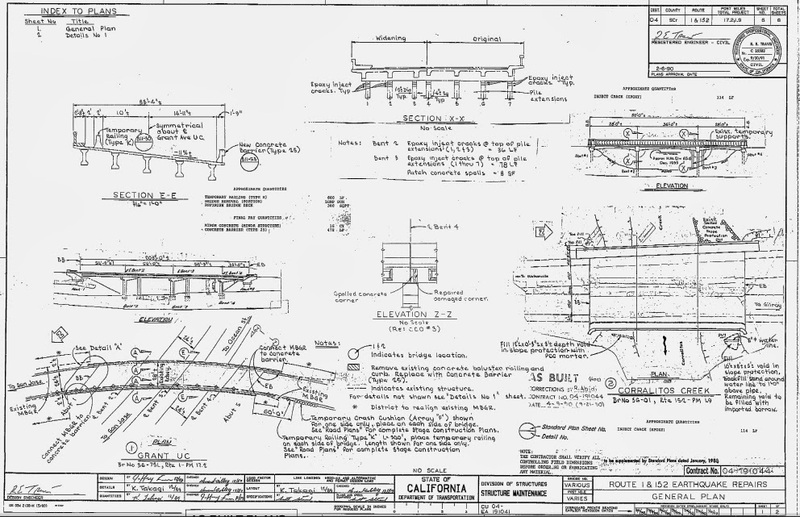 The Grant Street UC (36 0075) is a four span precast I girder bridge on two-column bents. 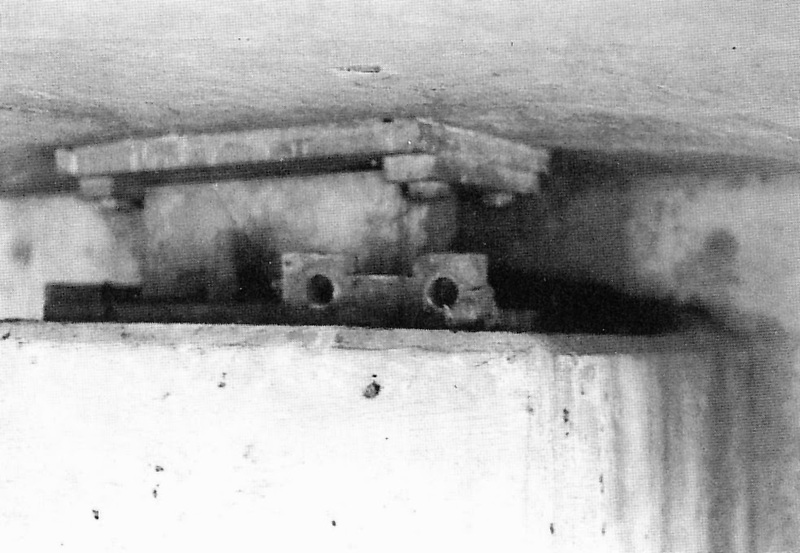 During the earthquake the expansion joints banged together spalling some concrete (see photo above), the bearing keeper plates were knocked off at the abutments (see photo below), and the embankments around the abutments settled, which damaged the bridge approaches. 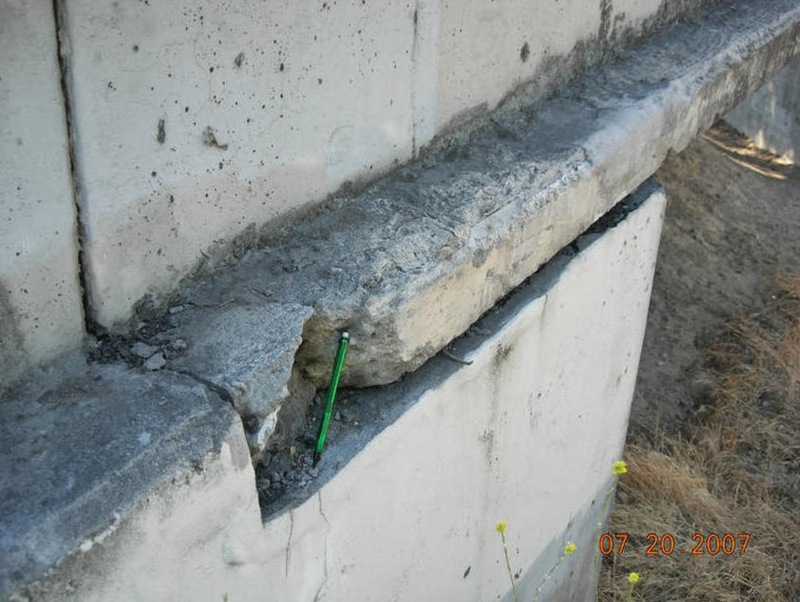 A repair contract was written after the earthquake (see figure below) and the bridge was also seismically strengthened with an infill wall retrofit in 1996. However, some of the earthquake damage can still be seen today (see figure at bottom). Santa Cruz County, California Bridges: Grant Street UC across State Route 1 by Mark Yashinsky is licensed under a Creative Commons Attribution-NonCommercial-NoDerivatives 4.0 International License.